Professional services are the next challenge for product management. In many companies, definition of services is an ad hoc affair, nothing more than a rough guess of man-days committed in a contract. Yet professional services are a key element of the solution delivered to the market. Product management should take on a leadership role in defining repeatable services, creating a market requirements document for each type of deliverable. Further, we believe that most companies have very outdated notions of product management and product marketing, and indeed relatively few companies in the technology industry have demonstrated the ability to do little more than simply continue to carry forward existing products and services making very minor improvements over time. In onsite calls, the product manager will identify customer problems, and write down the problems, just as one does with software. Call on a few every month and build a folder of call reports. Each call report contains multiple problems that we could potentially solve. A product manager can identify the key personas for your solutions, and the problems that you need to solve. These problems drive the market requirements document. You must filter out the services that do not leverage your tools or your distinctive competence; leave these services to the generic consulting firms. Don’t cripple the definition process by presupposing software, hardware, or services–this decision will occur later in the planning process. With the list of problems in hand, have a team meeting of Product Management, Development, and Professional Services. Discuss how to approach the various customer requirements. Product managers often see software features when the right solution may be professional services. The developer may instead see that an onsite service makes more sense. For those problems that require onsite account understanding and customization, identify the people in your services organization who can best address these problems. Discuss the problems that you’ve encountered and ask that they create a specification. The PSO expert is serving as the product architect, a ‘thinking’ role. This person may want to collaborate with others in her organization or leverage some work from a prior implementation. With the services defined and staffed, the product manager or marketing manager can package them for sale. With understanding of the persona and the problem, the product manager defines pricing based on the problems, and creates positioning documents to drive sales sheets and other collateral. With repeatable services defined, sales people should never have to sell ‘off the price list.’ Everyone agrees that it’s generally bad when sales people make up stuff in the field. Most of us would have had the experience of dealing with our personal banker or investment advisor who typically handles all our concerns and issues and directs us towards new products and services. Since banks and financial institutions fall under the category of service sector companies, it is fair to conclude that this aspect of service management is indeed service product management. The first stage of a service product management is the ideation or the idea generation stage where the product manager in the Services Company has to pitch in for new products and services aimed at customers. Depending on the market segments covered and the different niches that are targeted, the new services are launched after extensive market research regarding their feasibility and acceptability among consumers belonging to these market segments. The point here is that service product management is as intensive as pure play product management and entails the same stages and phases in the life cycle of the service. Of course, the important difference is that unlike in product management that deals with physical products, the service managers often deal in intangibles and notional values of services as opposed to fixed concepts in product management. The other aspect of service product management is the personal relationship part where the personal banker or the relationship manager has to manage the relationship given the fact that the product here is the actual service and not a physical asset. This is important from the point of view of the service manager since personal relationships form the basis for service product management and are the cornerstones of service product management. Finally, the service product management is also concerned with supporting the other business processes like finance, legal and administrative functions. For instance, it is common for service product managers to take care of the legal aspects of managing the relationship and the level of customer satisfaction since the customer experience is paramount in service management. Hence, the service product management is typically more of a soft skill thing rather than a hard factor system thing. 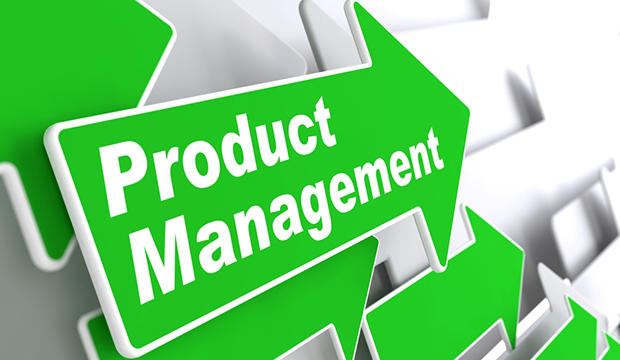 The point here is that service product managers manage the relationship internally and externally as opposed to physical product launches and distribution which along with sales and marketing form the product life cycle. Of course, it is common to hear this terminology in the services sector as well since service sector companies refer to the same concepts except that they do not sell physical products. In conclusion, service product management is coming of age just now and the future trends in the service sector would determine how well this concept takes off in a big way in the sector.